The design team and I have been racking our brains these past two weeks, thinking of a fun new arm-knitting video to make. A lot of crazy ideas came to mind…Martha, Norah, Ashley and me using our arms and knitting in a giant circle? Didn’t pan out. 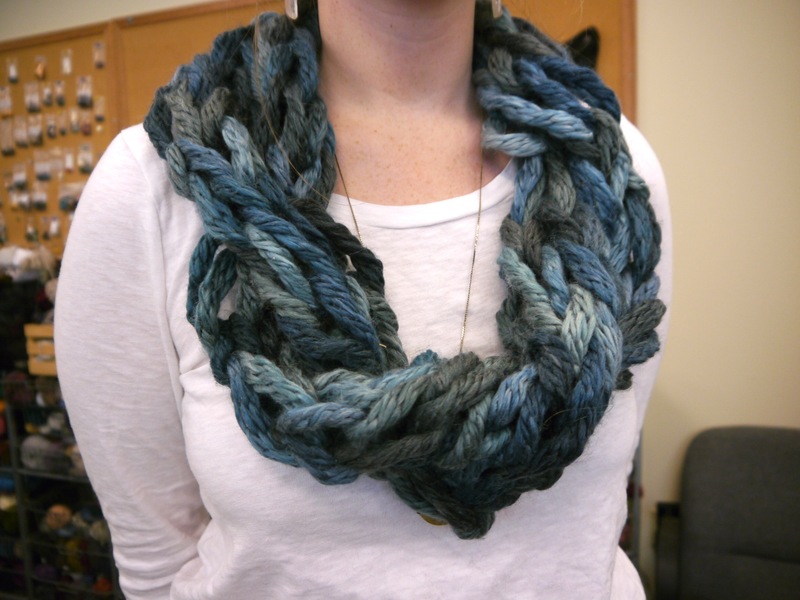 Finally, we turned to a fun and easy technique to give arm knitting a creative twist. Why not try cable arm knitting? All you need is two arms and a thumb to act as your cable needle. I chose my favorite Berroco yarn to arm knit with – Berroco Link. 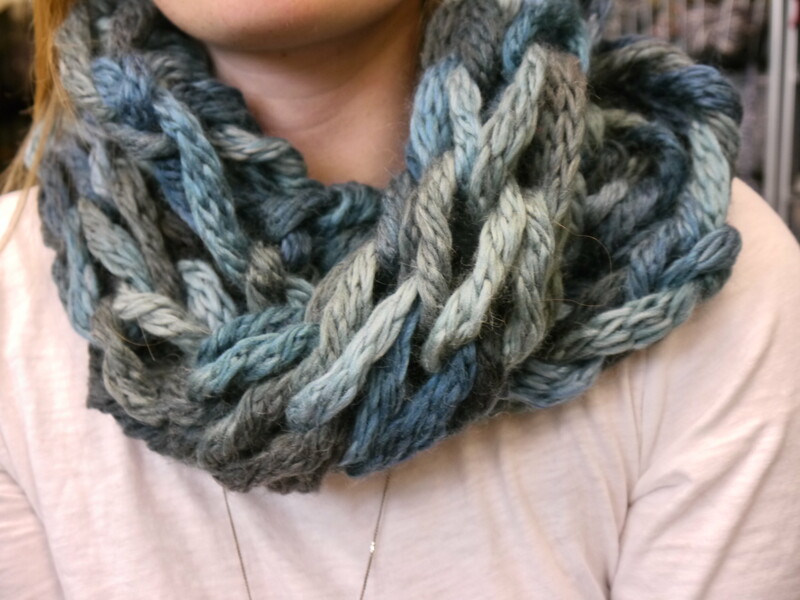 I especially love this blue color, Eventide, because the cabled pattern shows up best with softer colors. It took a couple of tries to get it right… The first attempt I cast on eight stitches but the end result did not look much different from our previous arm knit cowl pattern. The second attempt I cast on six stitches. It came out much better – longer, with several soft twists. 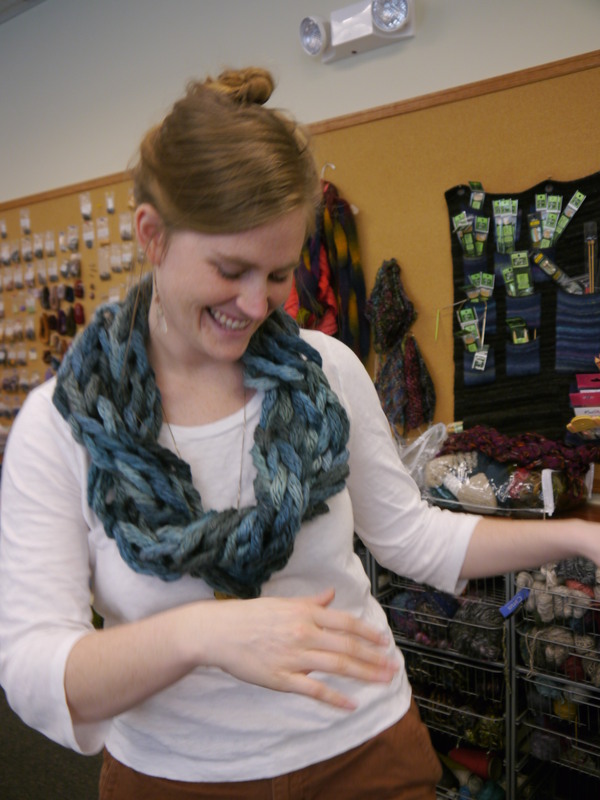 Happy Dance with my new arm knit cowl ! See how the knitting twists like a wave! Want to make your own? Here is the pattern! Row 4 – Slip the first three stitches onto your thumb and hold in front, knit the three stitches on your arm. Then slide the three held stitches back onto your original arm and knit. Repeat rows 1-4 until you have just enough yarn to cast off with. 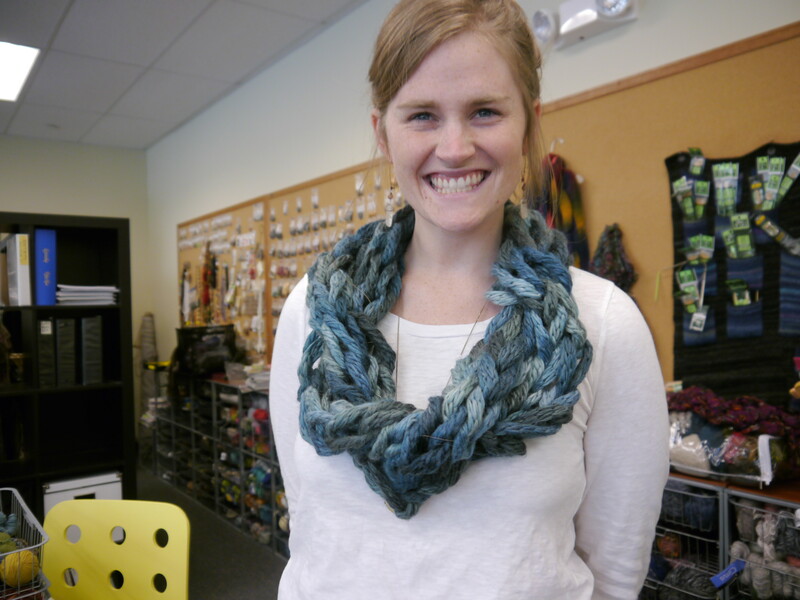 Seam cast on and bind off edges and wear your new cowl! What material are you using for the arm knitting? I’ve never seen thick enough material that would look good knitted, like yours.